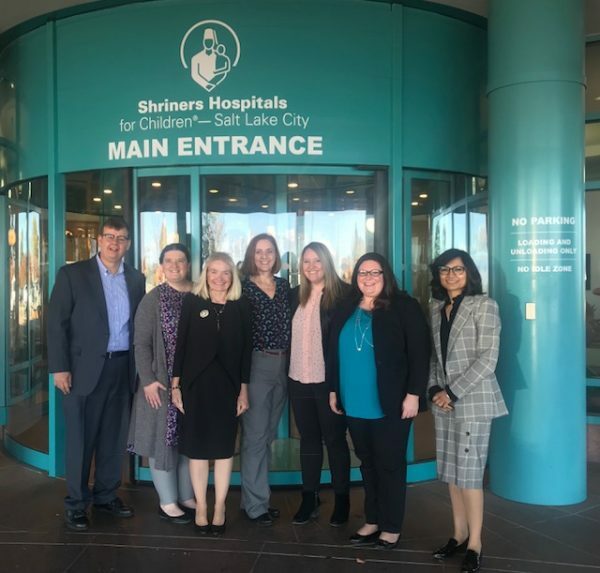 Professor Stacy Tye-Williams, along with members of the National Communication Association Anti-Bullying Task Force, conducted a workshop series on bullying for hospital employees at the Shriners Hospital in Salt Lake City on November 6, 2018. Stacy is the co-chair of the task force, which consists of ten other members from universities across the country. The group is working on increasing awareness, building research teams, and developing a teaching bank of materials to position the communication discipline to participate in broader conversations regarding bullying, within and beyond the academy.